Search Engine Optimization is probably one of the most misunderstood aspects of small business marketing plans. There are so many non-truths out there. Everyone seems to have a different idea of what works and doesn’t. Even seasoned business owners sometimes get confused as SEO trends are constantly changing. While there are many different expert opinions, these 7 tips for SEO are tips that the majority seems to agree on. Perform a keyword search. This is the first step you should take in your SEO campaign. Thoroughly researching your keywords can sometimes make or break your online marketing strategy. Avoid using the same meta tags for every page. Each page should be unique and focus on a different keyword. Example if your first page is focused on Small Business Marketing, page two should be on something like Canadian SEO Services. Be Honest. Don’t try to trick search engines by overusing keywords or hiding text. This is unethical and could get your site banned. Update your site regularly. Make sure your website is always up to date with the most current information. By this I mean is your event or sale has expired, remove or archive it. It shouldn’t still be showing up in the upcoming events section of your website. Avoid competing for single keywords. If you are a small business owner with limited funds, forget about trying to compete for single keywords. Instead try keyword phrases. For example, instead of using “marketing” try local Atlanta marketing company”. Great Content. Make sure your content is accurate, engaging and original. Your keywords should be strategically inserted in the content of your site. Remember to avoid sprinkling them all over the page; it has to make sense when it’s being read. Proofread. Make sure that you have checked your site for typos and content mistakes. If you can, have someone else read through your website. It’s sometimes hard to catch your own mistakes. Here’s a trick that I use. Once my site is live, I take each page and put it into a Word Document and it makes it easier to find errors. Be careful with this one though because it won’t always find words that are misused like their instead of there. I hope that you have found this information useful. If you find that you don’t have the time to properly implement SEO into your marketing campaign or you’re not comfortable with this project, contact our support team. 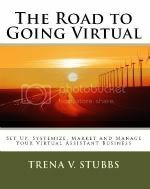 Apex Bizness Solutions is an Atlanta based Virtual Assistant Company with a trained team of professionals that can assist you with your small business online marketing.